My holiday is edging ever closer which has me planning my suitcase already. I always like to take some comfortable shoes with me in case we have any walking to do, perfect for strolling to the beach in too. 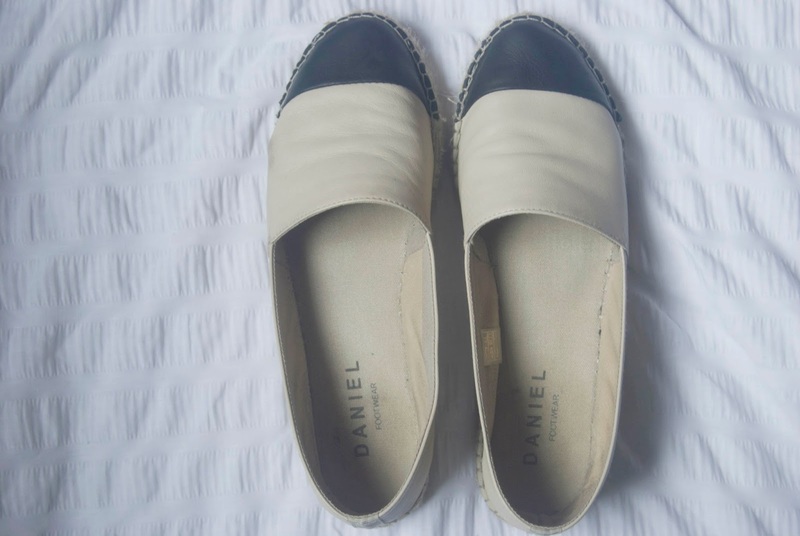 Daniel Footwear came to my rescue in the in the form of these espadrilles from their own label, they reminded me a little of the Chanel ones. I loved the contrast of the creme and black leather, the two colours mean they go with anything too. The raffia trim really adds to the overall look of the shoe too. I have to talk about how comfortable they are too, it’s like going outside in your slippers. Who wouldn’t want that feeling for their feet? I’ve mostly been wearing these with ripped jeans and a plain t-shirt on weekends, a really comfy outfit for just running errands in. On holiday I’ll team them up dresses, although I love heels I don’t tend to take them on holiday with me as we can do a lot of walking on an evening. These won’t take up much room in my case either! Daniel Footwear have an amazing selection of own brand and designer shoes and they also have a wide range of accessories too. 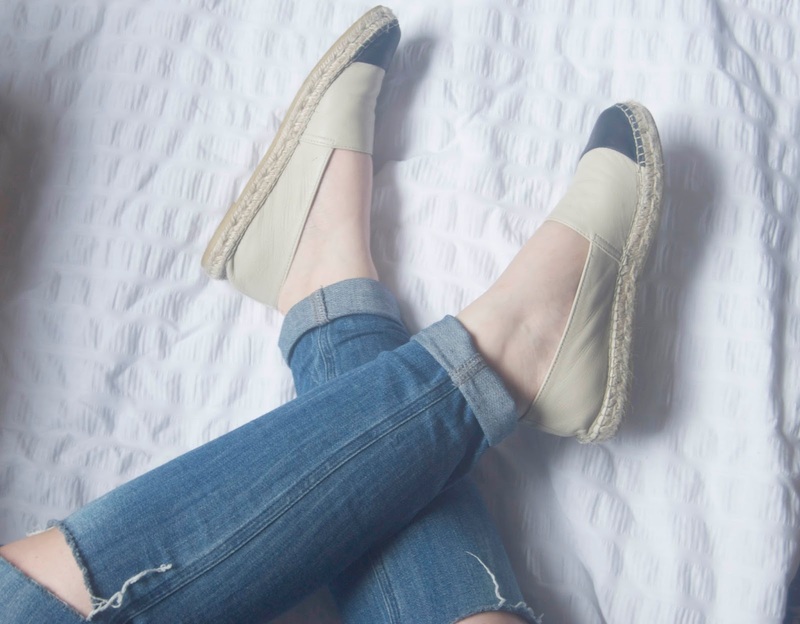 They have over 30 stores across the UK, as well as their online store – plenty of chance to pick up your new favourite pair of shoes, I’ve found mine! "Fashion: Top 3 Fashion Documentaries on Netflix"
"Beauty: This Works Energy Bank Review"
They really do scream CHANEL! Don't they? I love them and they look super comfy too. I think I'd wear these to death! The shoes must be comfortable.